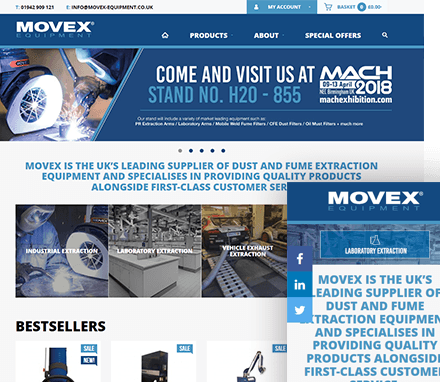 Movex Equipment are the UK’s leading supplier of dust and fume extraction equipment, specialising in providing quality products as well as the very best customer service. 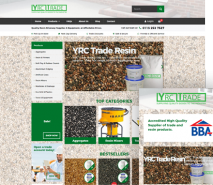 Movex required a new, up to date Ecommerce website to replace their previous, non-ecommerce one. 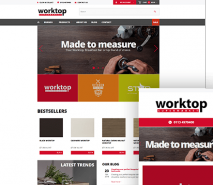 We recommended the Air Websites Ecommerce solution. 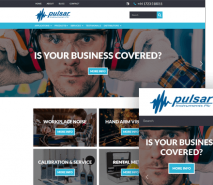 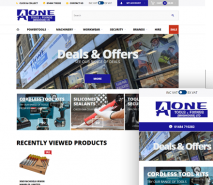 Movex required a website that provided customer accounts, engaged with their customers via blogs, downloads as well as the functionality to sell their products online. 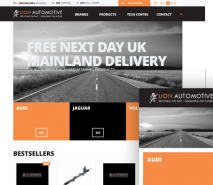 An Air Websites Ecommerce website package ticks all the boxes. 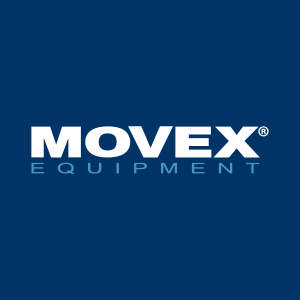 Our feature-rich, ultra-stable solution allowed Movex to have their products available online within just a few weeks.